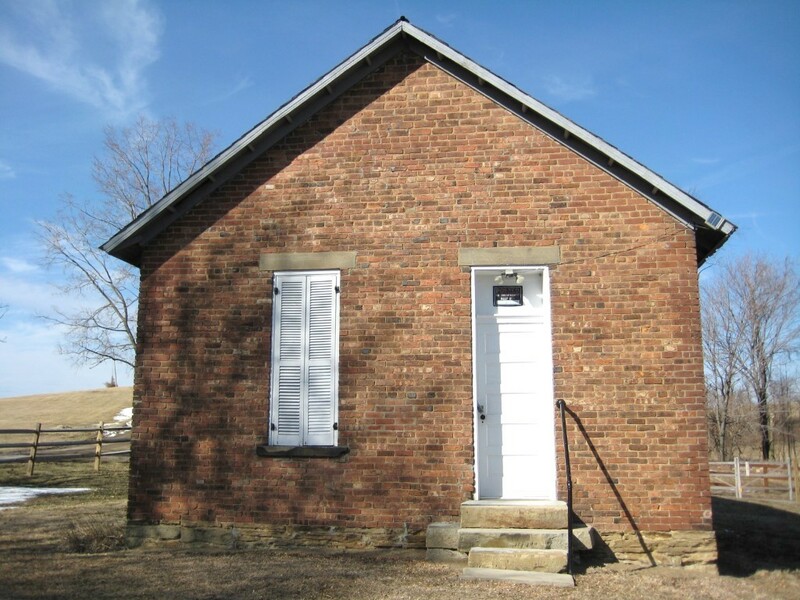 ﻿ Concord Quaker Meeting House - Ohio. Find It Here. This was the first Quaker Meeting in the Northwest Territory. When the Northwest Territory opened for settlement, Quakers living in slave states in the south moved here to settle in what was a slave-free territory. Built 1813, it was remodeled in 1863 and 1898. A group of descendants has restored the building which includes three bricks-thick walls, and the original wooden pegged benches. The building is on both the Ohio and National Historical Registers. In 1826 Concord Monthly Meeting had 279 members. In 1898 the building was reduced in size because of the difficulty in heating the large meeting house and smaller attendance due to westward migration. In 1911 Concord reported only 21 resident members. The Concord Meeting was laid down in 1919.Quaker Josiah Fox, Father of U.S. Navy is buried in the adjoining cemetery. He helped design the SS Constitution (Old Ironsides) and her sister ships the United States, Constellation, Congress, and President. The U.S. Navy placed a bronze plaque listing the ships he designed on his grave in 1976.